Most headsets and Bluetooth accessories will always show the same name on your phone's Bluetooth menu. However, AINA Wireless devices, like the PTT Voice Responder, have a unique friendly name which makes it easier for users to identify their own device amongst others. 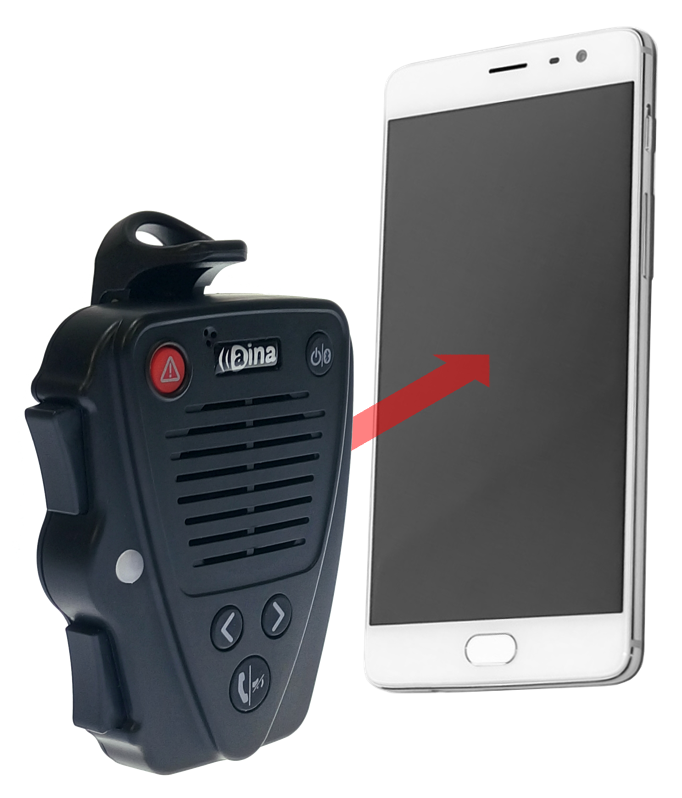 Turn on your PTT Voice Responder by holding down the Power button for more than 3 seconds. After it is on, a blinking green light will indicate that the device is ready for pairing. Turn on your iPhone’s Bluetooth by going to: Settings —> Bluetooth —> Turn on. Pair your PTT Voice Responder to your iPhone by selecting it from the Devices list. To know which device to select from the list, check the unique friendly name on the back of your Voice Responder. Once it has successfully paired, a blue light will begin blinking on your device. Turn on your smartphone's Bluetooth by going to: Settings —> Bluetooth —> Turn on. 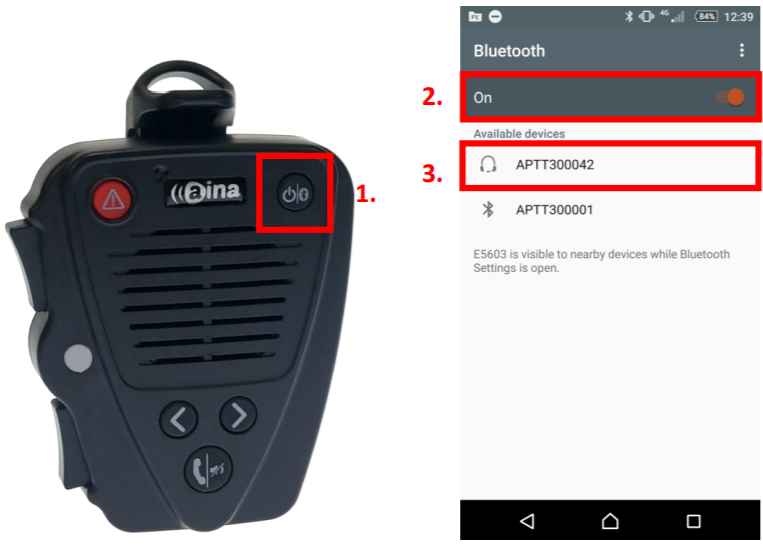 Pair your PTT Voice Responder to your smartphone by selecting it from the ’Available devices’ list. To know which device to select from the list, check the unique friendly name on the back of your Voice Responder. Once it has successfully paired, a blue light will begin blinking on your device. Hold the PTT Voice Responder’s NFC tag (which is on the side of the device under the Volume buttons) close to the phone’s NFC reader (usually the back side of the phone). Accept the pairing request on your phone. NOTE: The Voice Responder can only be paired with one device at a time. This is a security feature to avoid any hacking attack. If you want to pair it to another device you need to perform an Unpairing/ Software reset by holding the power button for at least 7 seconds upon powering it on. Make sure that the previously paired phone has its Bluetooth turned off so the Voice Responder can't connect back to that phone. Alternatively you can press and hold both soft buttons and both PTT buttons simultaneously when the device is ON, until the LED blinks once in yellow.